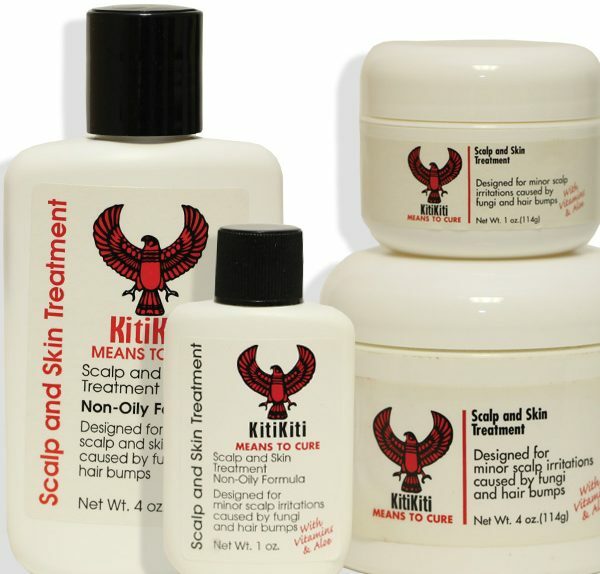 Our top-selling Scalp and Skin Treatment comes in multiple sizes and formulations to meet each person’s unique needs. After shampooing and conditioning your hair, use of of our treatments to help control scalp and skin irritations caused by fungi such as: Eczema, Psoriasis, Seborrhea, Dandruff, and/or hair bumps. This product contains a special blend of ingredients that inhibits the thinning of hair caused by harsh chemicals, while controlling flakes in the scalp, eyebrows and mustache. Each available in a 1 oz. or 4 oz. size, the non-oily formula comes in a bottle and is more of a liquid consistency; the regular formula (also available in Extra Strength) comes in a wide-mouth jar in a gel-like consistency. Shop these product on Amazon or from a selection of retailers.